On arrival in China, the team were greeted by Jenny and Bruce – our guides for Beijing. 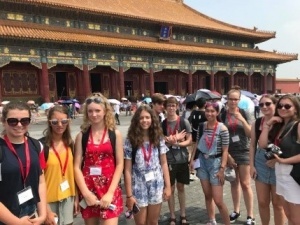 We travelled with them to Harrow International School – and the heat! We were met with the truly tropical sounds of crickets screeching in the humid air as we found out what ‘hot’ really means! After a long sleep it was time to explore the great city we were to call home for the next week. 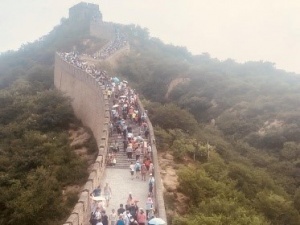 Onto the bus and our guides gave us a brief history of the speed at which China has changed over the past decade. 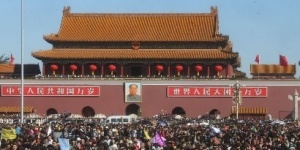 As anticipation rose ahead of entering the Forbidden City, so did the heat, to more than 40ºC. This did not deter us, and we explored an incredible building that appeared never ending, with layer within layer. 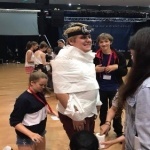 The following day it was time for rehearsals, and the choristers were keen to begin. The holiday mood had caught Dan and the singers, and everyone enjoyed the relaxed, yet productive atmosphere. 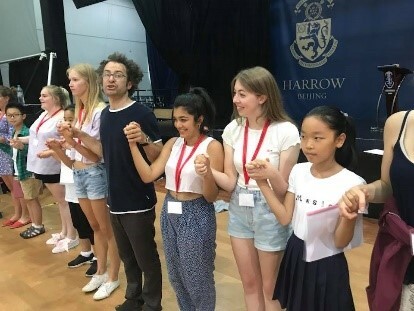 When we had had some days to settle in, we were visited by our friends from the Beijing Children’s Palace Choir and after rehearsals for our joint concert, a mini-Olympics was held. 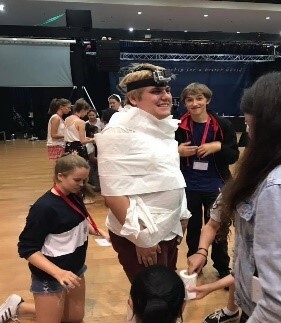 Much hilarity on all sides, and a certain amount of gamesmanship at times – the evening ended with a presentation to the winning team by Richard Savage and Nick Smith of ACFEA, who had organized the tour. 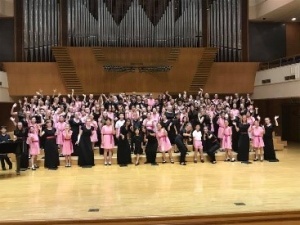 3rd August was the date of our first concert, with the Beijing Children’s Palace Choir. An afternoon of rehearsals was followed by our first meal with a lazy Susan, which was quite an experience –and there was even a surprise cake for MC’s birthday. After that is was straight back to the Beijing Concert Hall to get changed for the first of our sell-out concerts. Following our second successful Beijing concert the following evening, on Sunday 5th August it was time to move on to Shanghai. We had a very busy day! 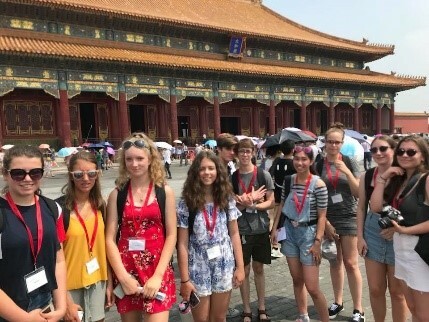 After a walk along the Great Wall, lunch, a visit to the Jade Centre and some well-deserved shopping we headed to Beijing Station to catch the overnight train – one of the best nights’ sleep we all had. Straight to the hotel on arrival –breakfast– BACON. 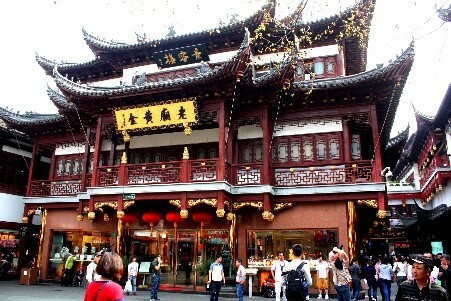 Afterwards, to the extraordinary Jade Buddha Temple and the Bund, a mixture of ancient and modern Shanghai. Our free afternoon was spent visiting Shanghai’s old town, with a mix of department stores and quirky Chinese souvenir shops. 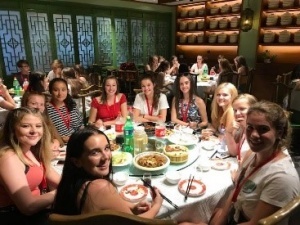 Our last day in China started with a visit to a silk factory, which was a fascinating experience; then off to the Shanghai Grand Theatre for a triumphant last performance to a packed audience. In August 2016, a group of NCC singers travelled to Spain to perform in Burgos, Vitoria-Gasteiz, Ávila and Salamanca. They had an amazing time, with packed concerts, enthusiastic audiences and many adventures! Click here for an account of the trip. Last summer a group of our singers again visited the Redwoods Centre to sing to the residents. Our audience really enjoyed the short concert, and the Green Choir singers had a great experience singing there. We sang both repertoire from our concert programme, and from our Christmas CD, conducted by Suzzie and accompanied by Jules, our pianist. Many people from the Redwoods Centre came down to the lobby to watch us perform and we were delighted when their faces lit up as we were singing. They enjoyed it so much so that they called for an encore, which was a pleasant surprise! We were conducted by the fabulous Suzzie Vango and accompanied by the awesome Julian, we sang a multitude of songs varying from: ‘Veni Veni Emmanuel’ with the amazing soloist Gauri Godbole to ‘I sing of a maiden.’ The venue itself was beautiful, over flowing with colour and warmth, we as a choir felt so welcomed and excited to sing to the wonderful guests who resided there. Last year we recorded a Christmas CD – it was quite strange for the choirs to be rehearsing carols in April in preparation! The CD was recorded in the Shrewsbury School Chapel over 2 days, and the process of recording was really interesting for those taking part. Our summer concert last year took place in St Chad’s Church, Shrewsbury, where we have performed on many occasions. This gave parents, friends and members of the public an opportunity to enjoy the songs that the choir had been working on during the year, and to applaud their hard work and that of their musical staff involved. The Duchess of Kent and Sir Richard Stilgoe have been joined by Cecilia McDowall as patrons of NCCGB. Cecilia has composed a new piece, Everyday Wonders: the Girl from Aleppo, in celebration of the choir’s 20th anniversary, and we have very much enjoyed working with her on this. We are looking forward to her involvement with NCCGB, and to welcoming her to future concerts and courses.